I was born in Enfield and educated in Enfield and Harrow. I attended Trinity College of Music and subsequently teacher training college gaining both an initial qualification as a teacher for 3-9 year olds and a post-graduate qualification in special education: this was followed by an MPhil from the University of Exeter. I worked in education for 36 years as a teacher, adviser, inspector and officer for a number of local education authorities in both inner city and rural areas. It was while I was working as a teacher that I met Malcolm, my husband, who was a day service manager for people with complex needs. We have been married for 35 years. 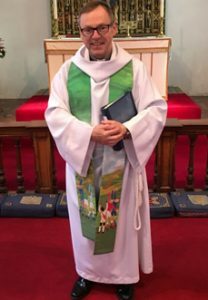 I have lived in Greenfield for 25 years and worshiped in the Benefice for all those years: 17 of them as musical director of the 3 Churches Choir. 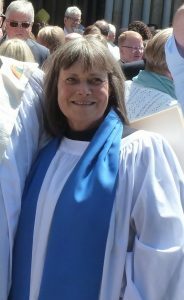 Since childhood I have served in the Church of England in choirs, drama groups, as a Sunday school teacher and youth volunteer. 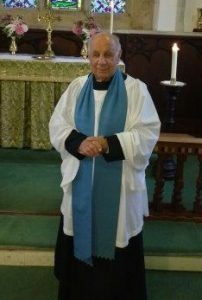 I was confirmed at St Albans North Harrow too long ago for comfort! During my student days, at Trinity College of Music, I sang and played in a number of church choirs and instrumental groups as a semi professional church musician and became music director of a church choir in Twickenham. For a number of years I felt called to ministry and, in 2014, I sought reader training. After 3 years of study I was licensed as a Reader in May 2017. 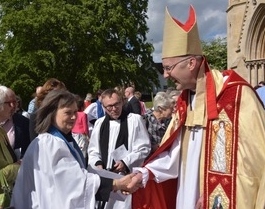 I am now a member of the Benefice ministry team and a prison chaplain. This is an exciting time for ministry within the Benefice. Our growing ministry team affords us so many opportunities to develop new patterns of worship, offer a variety of services to respond to peoples’ preferences and provide courses, pastoral care, mid week activities, and support to our village academies. 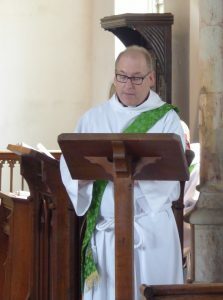 I am delighted to be able to develop my ministry within the Benefice in which I have worshiped for so many years and had so much positive support from so many old and new friends.